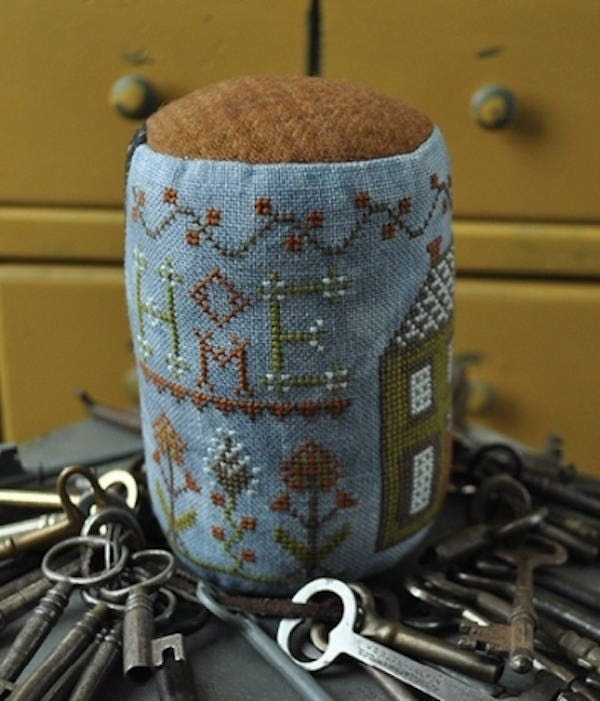 Handmade Pin Cushion from a Cross Stitch Pattern called "Home" by Summer House Stitche Workes. 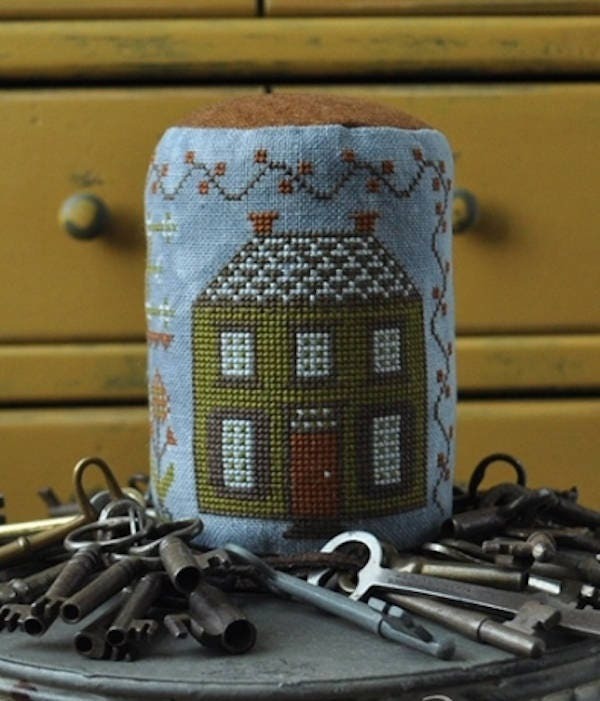 Hand stitched with linen and wools. 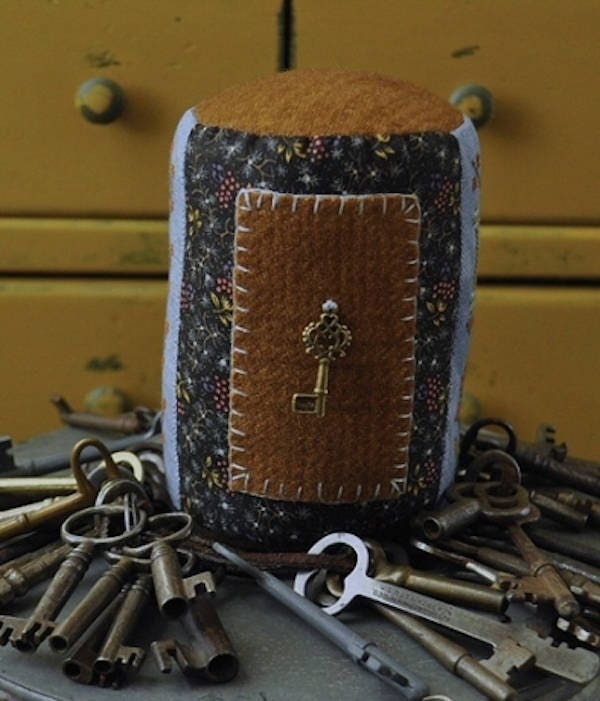 Key and fabric varies slightly from photo. This piece is made with stuffing, and is slightly weighted. Makes a good shelf sitter decor too.